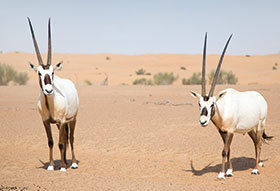 Researchers at the University of the Witwatersrand are studying the Arabian Oryx in the Saudi Arabian Desert to determine the effects of climate change on its behaviour. AWE Telemetry Systems was challenged to come up with a way of measuring the internal body temperature and activity of the antelope and transmitting that data in near real-time to the cloud. The company was able to integrate temperature and activity sensors with a UHF radio, which was then implanted into the animal. The radio sends the data periodically to a receiver on an Iridium satellite collar on the animal’s neck. This is then sent to AWE’s servers via the Iridium satellite network, allowing researchers to monitor the animals remotely. AWE Telemetry Systems has taken this technology to the mainstream market. In a pilot project for a pharmaceutical manufacturing company in Gauteng, remote temperature and relative humidity (RH) monitoring devices were installed in various rooms within the facility. These devices are completely portable and rechargeable. The facility manager requires units that do not need permanent power or a backhaul to a server. Retrofitting devices where reticulation and power are required is out of the question. The facility cannot afford any downtime during installation of fixed and powered telemetry. They transmit temperature and RH measurements every five minutes and have been doing so on a single charge for the past 85 days. AWE expects a lifespan of at least five years for these units running on lithium primary cells. The measurement interval can be changed, which will increase or decrease the expected battery life. The data from the remote units is received by the AWE gateway unit located within the facility and is then transmitted to the company’s servers via the GSM network (Iridium satellite network not necessary in this instance), making it available online in real time. Should temperature and RH fall outside the set criteria, alerts are triggered via email and SMS notification. The set points can be changed on a per device basis in the back-end. The user interface is completely customisable, with various widgets and dashboards available.